The Florida Gators fall at home on a last second field goal to the LSU Tigers 30-27. The LSU Tigers silence the Florida Crowd as the Tigers go into the The Swamp and defeat the Florida Gators 30-27. 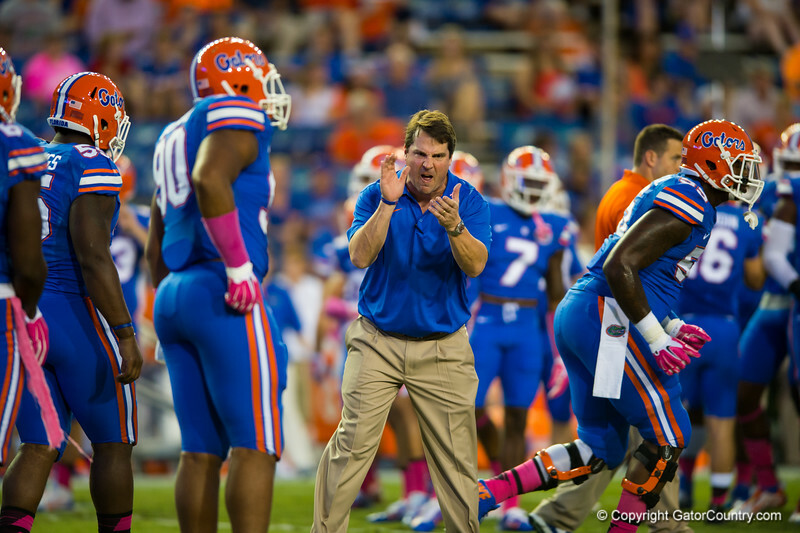 Florida Gators Head Coach Will Muschamp getting fired up during pre-game warmups. Florida Gators vs LSU Tigers. October 11th, 2014. Gator Country photo by David Bowie.